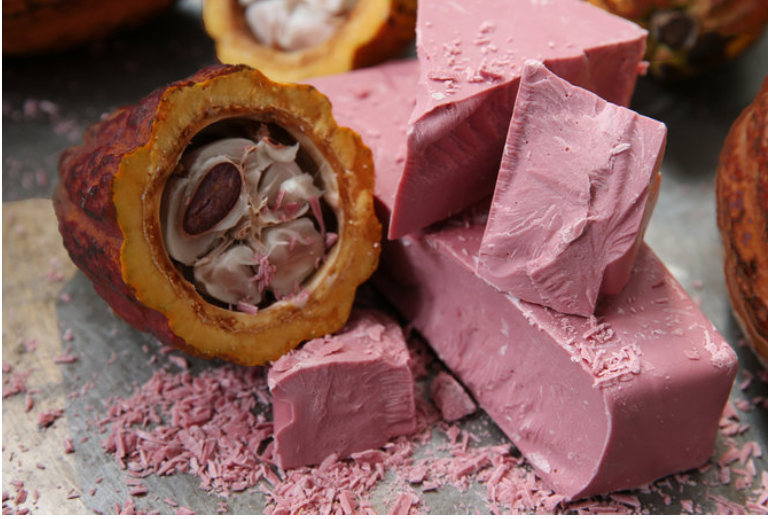 We are all familiar with various chocolates – milk, dark, and white – but have you heard of “Ruby chocolate” yet? The new chocolate was developed by a Swiss chocolate maker, making it the first new natural color for chocolate since white chocolate hit the market more than 80 years ago! Ruby chocolate has a pinkish color and a fruity flavor; it uses a special type of cocoa bean that has a natural berry flavor that has been described as both sour, yet sweet. The product is expected to help grow sales in the stagnant global chocolate market. The new flavor has been tested in various countries, including the U.S., U.K., China, and Japan. The positive response is particularly strong in China where the color red is attractive in the marketplace. The beans used come from specific regions and countries, and the color is due to the powder which is extracted during processing. No berries or colors are added, making it the first time a natural reddish chocolate is produced. This article fits in nicely with the in-class activity of designing a new candy bar (Chapter 1). Divide students into teams. Assign each team a specific target market and have them develop the marketing mix for a new candy product of their choosing. What target market will this appeal to, and why? Have students now revise their marketing mix to promote Ruby chocolate products. If you have been reading the news recently, it seems that the world can certainly be described as a scary place. Today’s world is aware of the possibility of new nuclear activity by countries such as North Korea. While nuclear capabilities are not something anyone wants to consider, there are some industries that are getting a boost from it – including the bomb shelter industry. You may not have previously considered this industry as a growth market, but right now it is booming (no pun intended). According to several U.S. companies, sales and inquiries are on the rise. One company, Atlas Shelters, expects a stellar year, selling a thousand shelters at an average price of $25,000 per shelter. In particular, there is increased demand in Japan as well as the U.S. 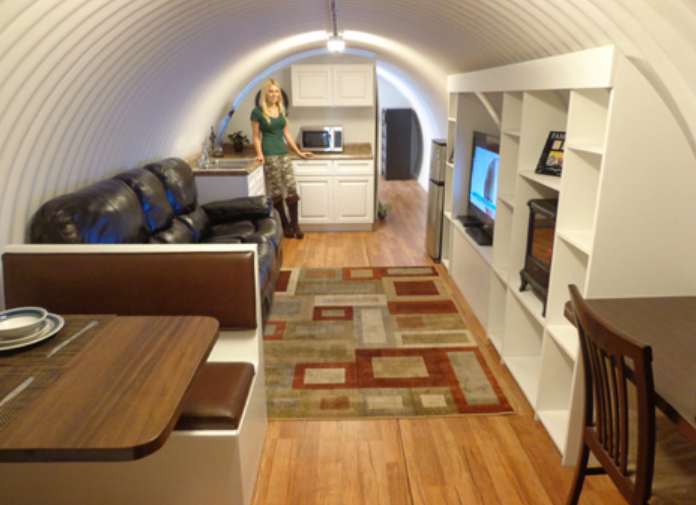 Bomb shelter customers are often homeowners who are alarmed about the possibility of nuclear strike; they also include survivalists and “preppers” who are preparing for natural and man-made disasters. There are a variety of different shelters, including a 500 square foot, steel-encased bunker for $120,000 that can be decked out with luxury accommodations. On the other side of the spectrum is Vivos, a company that sells shares in underground bunker complexes that include community spaces. It sells shares in its complex for $35,000 per person and claims that its 80-person complex in Indiana is completely sold out. Who is the target market for bomb shelters? Ask students what data they would want in order to make a marketing decisions for bomb shelter companies. Debrief the exercise by compiling information on the white board. Does this give a good picture of the situation faced by these companies? Are you hungry? Want fast delivery of pizza, but don’t want to talk to anyone? There’s a solution for that. 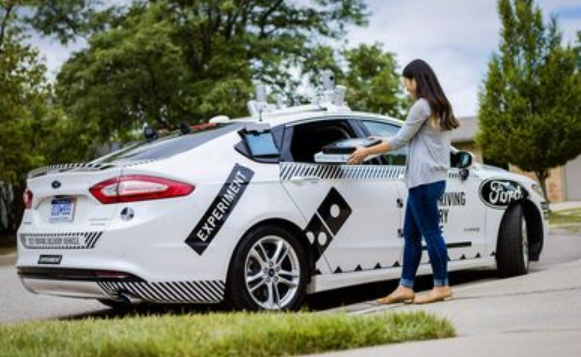 Domino’s and Ford have formed a partnership to use self-driving Ford Fusions equipped with sensors, electronics and software, to deliver pizza to Domino’s customers in Ann Arbor, Mich. In the next few weeks, the companies will be able to see first-hand how customers respond to the new driverless delivery technology. What happens in the final 50 feet? Do people want to go outside to take delivery? Is it taking delivery simple to understand? The cars will have safety engineers and researchers inside to monitor activities and customers’ reactions. Customers can track the delivery car through GPS, and when the car arrives, a text message will be sent to customers about how to retrieve their pizza. Testing automated deliveries to homes and businesses goes far beyond just pizza. Deliveries from online shopping already total in the billions of dollars, and there is even more application in the future. Need roofing materials or building supplies? What about cooked meals, or ingredients for dinner? One big advantage of the autonomous deliveries – no tipping required! Poll students: What do they have delivered to their homes now? What would they like to see delivered in the future? Ask for reactions. What would be their behavior for this type of delivery? What are the advantages, and disadvantages of driverless delivery? Form students into teams. Have each team develop a list of possible research questions that Ford and Domino’s would use to evaluate and revise the service.